Designers, YOU DID IT! For 15 days we've seen many of you set aside at least 15 minutes of your day to devote to creativity. With the guidance of designers from the Spoonflower community, you've sketched in pencil, you've learned block printing and traditional Japanese shibori, you tackled steampunk and kawaii styles, and, hopefully, you've gained the confidence of knowing there's no medium you can't take on. If you haven't yet, be sure to scroll through the #SFDesignADay hashtag on Instagram, Facebook, Twitter, Pinterest and Flickr – I know you will be as inspired as we are by the incredible talent of this community. We are so proud! Our prompt for today is Designer's Choice! Take a moment today to dig into your favorite prompt from the series or to dust off an old favorite. 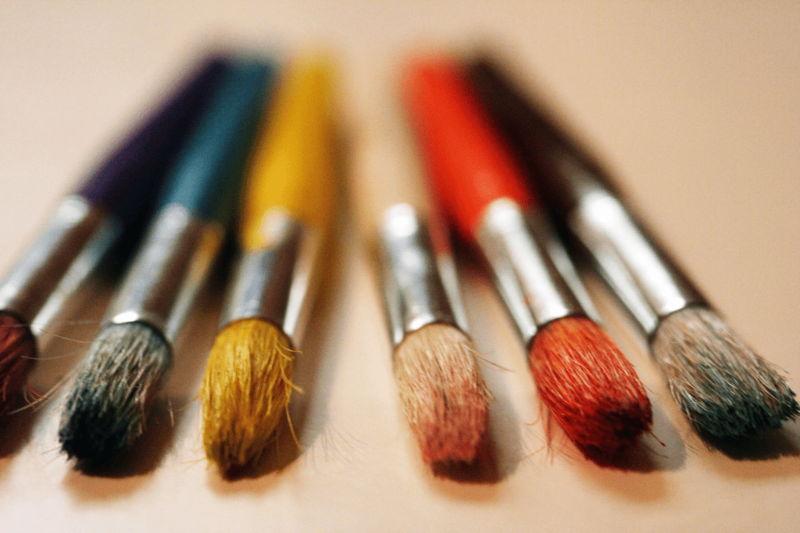 It's the perfect day to let the creativity you've cultivated during the challenge run wild! We're wrapping up our SpoonChallenge with a friendly competition! We've taken the 15 prompts and pulled one out of a proverbial hat to bring you the theme for a rapid-fire, first-of-its-kind design contest! If you want to put your new skills to the test and participate in the SpoonChallenge Contest, here's your theme! Beginning now, you have just 48 hours (that's right, we decided to give you ONE extra day!) to submit your design in the theme we've selected, before voting is turned over to the public. The voting period will last for one full week, and winners will be announced in our newsletter on Thursday, March 24. See the official timeline and FAQs here. Best of luck designers! 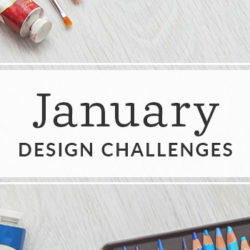 Take today to catch up on the themes, work on a new design in the medium of your choice, or, go ahead and get started on your contest entry. 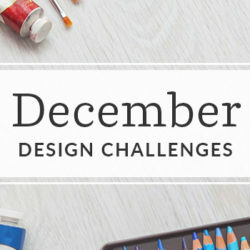 When you're ready to submit your entry, simply upload the design to Spoonflower, select your layout and tweak the scale if you wish, and then click on the "ENTER IN DESIGN CHALLENGE" option on the left-hand side next to the preview canvas. Please note that designs will be displayed at the fat quarter scale during voting. Have fun with this one! Hi, Spooonflower. 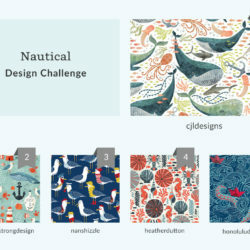 There are #SFDesignADay challenges also posted on Pinterest, Flickr, and even on Spoonflower. 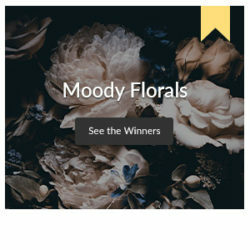 I only mention this because I see Instagram, Facebook and Twitter as places to look for designers’ entries on these blog postings. Spoonflower has a large community with so many different ways to connect. Yeah, great choice of Contest theme! <3 🙂 I'm sure there will be sooooo many beautiful patterns!